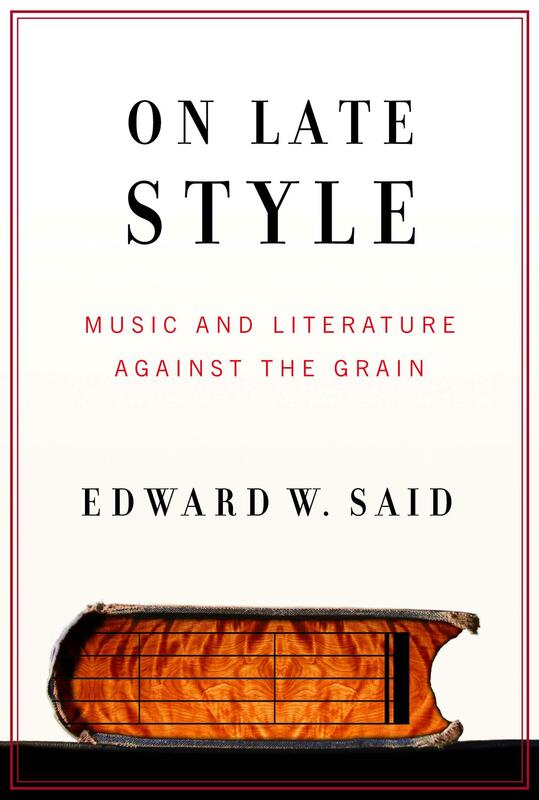 Description: In this fascinating book, Edward Said looks at the creative contradictions that often mark the late works of literary and musical artists. Said shows how the approaching death of an artist can make its way into his work, examining essays, poems, novels, films, and operas by such artists as Beethoven, Genet, Mozart, Lampedusa, Euripides, Cavafy, and Mann, among others. He uncovers the conflicts and complexity that often distinguish artistic lateness, resulting in works that stood in direct contrast to what was popular at the time and were forerunners of what was to come in each artist’s discipline–works of true genius. 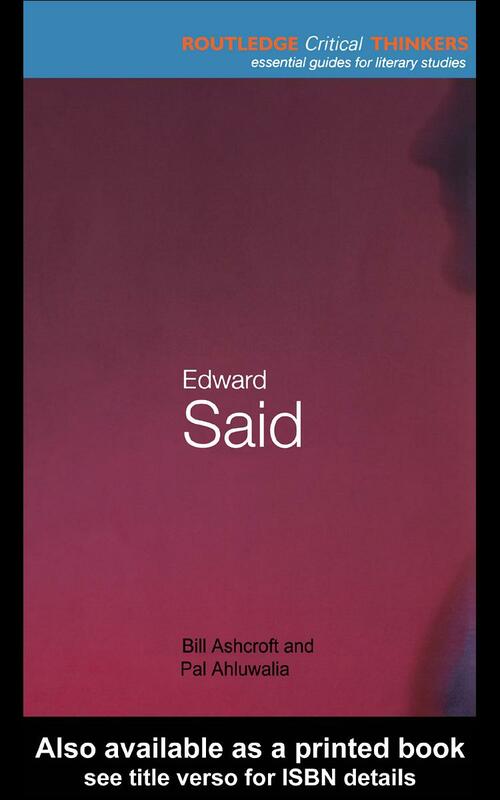 Eloquent and impassioned, brilliantly reasoned and revelatory, On Late Style is Edward Said’s own great last work. This is the book culture critic Said was completing when he died in 2003. The critical survey had its genesis in a popular course Said taught at Columbia University, “Late Works/Late Style,” examining “artists… whose work expresses lateness through the peculiarities of its style.” Writing with insight and meticulous phrasing, Said studies the output of creative talents during their final years. The passing parade of artists, writers and composers includes Beethoven, Mozart, Jean Genet, Glenn Gould, Arnold Schoenberg and Richard Strauss. In one piece, Said details dramatic contrasts between Giuseppe Tomasi di Lampedusa’s The Leopard and Luchino Visconti’s film adaptation of that novel; in another, he compares Thomas Mann’s Death in Venice (1911) with Benjamin Britten’s 1973 opera of Mann’s novella, composed near the end of Britten’s career. While “late works crown a lifetime of aesthetic endeavor,” Said concludes there also is “artistic lateness not as harmony and resolution, but as intransigence, difficulty, and unresolved contradiction.” As Said examined the effect of impending death on artists, leukemia led him to his own final pages, resulting in this erudite collection. “Late style” is the quality possessed by the puzzlingly beautiful artistic works that are created late in an artist’s career, after decades of creative output, yet suggest not closure and resolution but rather “intransigence, difficulty, and unresolved contradiction,” the “nonharmonious, nonserene tension” of an artist renewed with youthful energy in the face of imminent mortality. Put differently, Said is fascinated by artists who refuse to go gentle into that good night, finding, instead, an autumn-summer adolescence that subverts their peers and perhaps their earlier oeuvre as well as complicates matters for critics and admirers. This quality, he argues, is in Benjamin Britten’s dark operatic rendition of Thomas Mann’s Death in Venice, where a discordant amalgam of text and music shows struggle but not resolution, and in Cosi fan tutte, in Mozart’s gestures of longing, coldness, and technical mastery amid superficial artifice. Improving upon concepts articulated by Theodor Adorno in “Spatstil Beethovens,” Said’s precisely worded yet rambling narrative ultimately hints that modernism itself may be a form of late style. He was at work on this prescient book when he died, in 2003. Author(s) / Editor(s): Bill Ashcroft (Author), Pal Ahluwalia (Author). Description: The Routledge text on Edward Said, by Bill Ashcroft and Pal Ahluwalia, is part of a recent series put out by the Routledge Press, designed under the general editorial direction of Robert Eaglestone (Royal Holloway, University of London), to explore the most recent and exciting ideas in intellectual development during the past century or so. To this end, figures such as Martin Heidegger, Jacques Derrida, Friedrich Nietzsche, Paul Ricoeur, Sigmund Freud and other influential thinkers in critical thought are highlighted in the series, planned to include at least 21 volumes in all. Ashcroft and Ahluwalia’s text, following the pattern of the others, includes background information on Said and his significance, the key ideas and sources, and Said’s continuing impact on other thinkers. As the series preface indicates, no critical thinker arises in a vacuum, so the context, influences and broader cultural environment are all important as a part of the study, something with which Said might agree. Why is Said included in this series? his thought and intellectual influence has extended far beyond to almost every academic field. Particularly in the areas of philosophy, politics, theology, and sociology, Said’s influence will continue to be significant for a number of reasons. Ashcroft and Ahluwalia’s text is well organised. In the first chapter, she recounts both a brief biographical sketch of Said, as well as the discussion on how Said’s development of ideas impacts the intellectual development of the twentieth century. Said was set to be a relatively intelligent but unknown professor of comparative literature when events in the Middle East, and his own multifaceted identity, propelled him into other arenas. His identity as an American in New York City (a city not unknown for diversity) was challenged as his identification as an Arab seemed to take precedence in light of the Arab/Israeli conflicts – an identity problem that has re-established itself for many in the wake of the post-9/11 bombings. Understanding the importance of culture and its pervasive power through the texts, the writers, the readers, and the understandings of people even without their awareness is crucial to understanding the world, particularly in the increasingly globalised culture. One of the useful features of the text is the side-bar boxes inserted at various points. For example, during the discussion on Said’s development of orientalism, there are brief discussions, set apart from the primary strand of the text, on the Epistemology, Ontology, Michel Foucault, and Marxism, developing further these topics should the reader not be familiar with them, or at least not in the way with which Said would be working with ideas derived from them. Each section on a key idea spans twenty to thirty pages, with a two-page summary concluding each, which gives a recap of the ideas (and provides a handy reference). The book is designed so that each chapter can be a stand-alone essay, peripherally related to each other, but not dependent upon any particular order of reading. 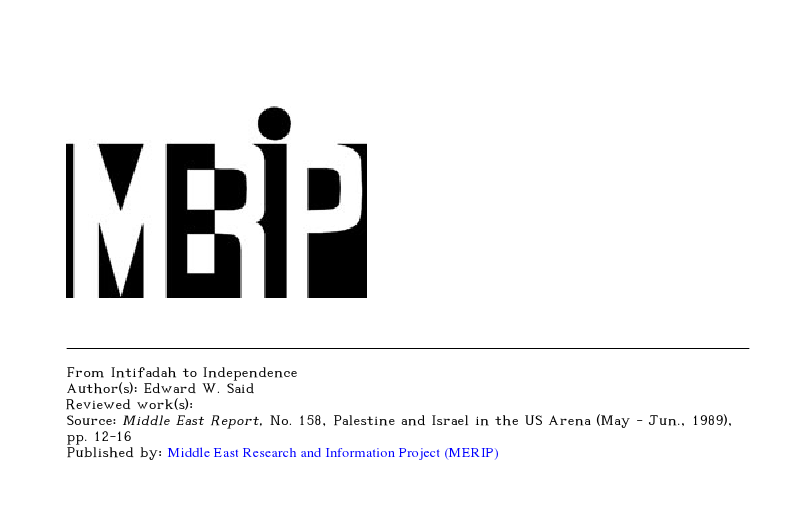 Should the reader want a quick introduction to Said’s development on culture and imperialism, or an overview of Said’s views on Palestine issues, those can be read independently or out of sequence without any loss of accessibility by the reader. Should this text be used as part of a class, the chapters can be rearranged to suit any number of syllabi patterns. Part of the problem of putting Said into a series like this is that the series requires the identification of key ideas. Ashcroft and Ahluwalia develops five key areas (as opposed to ideas): Worldiness in texts; Worldiness in critics; Orientalism; Culture as Imperialism; and finally, Palestine. In each of these chapters, Ashcroft and Ahluwalia develop the background, the theory, and some of the problem areas (both in Said and in others) for discussion. All of this is done with a particular emphasis on literary and cultural theory, but the impact of these ideas on other areas, particularly the political, cannot be hidden. The concluding chapter, After Said, highlights some key areas of development in relation to other thinkers, as well as points of possible exploration for the reader. Said’s ideas of post-colonial theory and the continuing evolution of orientalism are primary features of Said’s work, but in fact it is too early to be speaking of times after Said. Ashcroft and Ahluwalia report that the New York Times recognised Said as one of the most important and influential literary critics alive in 1999; this kind of public acknowledgement doesn’t necessarily secure one’s place in history, but it does speak of his growing influence beyond the narrow confines of a particular academic discipline. As do the other volumes in this series, Ashcroft and Ahluwalia conclude with an annotated bibliography of works by Said, and works on Said. The works by Said are broken up into topical arrangement, and include articles as well as books. While this series focuses intentionally upon literary theory, in fact this is only the starting point. For Said (as for others in this series) the expanse is far too broad to be drawn into such narrow guidelines, and the important and impact of the ideas extends out into the whole range of intellectual development. As intellectual endeavours of every sort depend upon language, understanding, and interpretation, the thorough comprehension of how and why we know what we know is crucial. 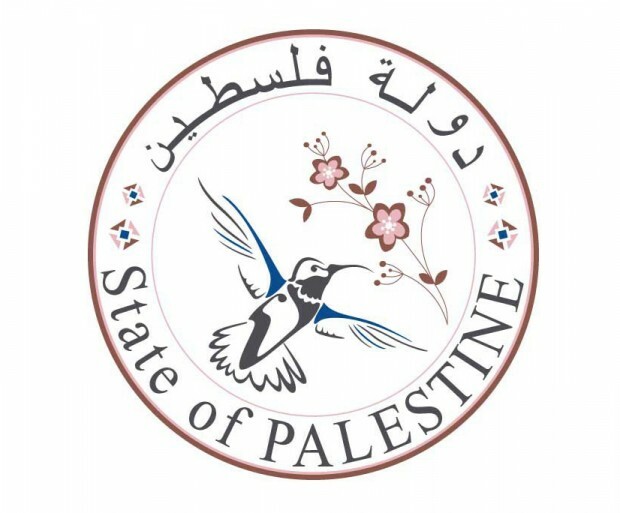 Description: The Western media paint Palestinian resistance against Israeli occupation as exclusively violent: armed resistance, suicide bombings, and rocket attacks. In reality these methods are the exception to what is a peaceful and creative resistance movement. 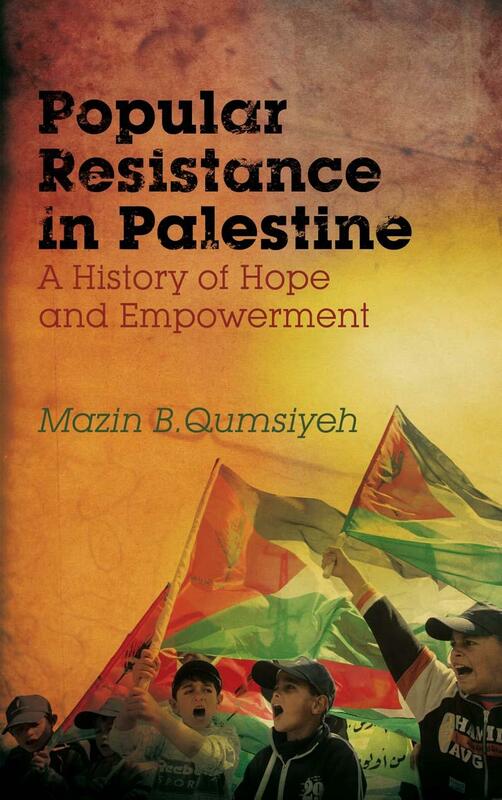 In this fascinating book, Dr Mazin Qumsiyeh synthesizes data from hundreds of original sources to provide the most comprehensive study of civil resistance in Palestine. 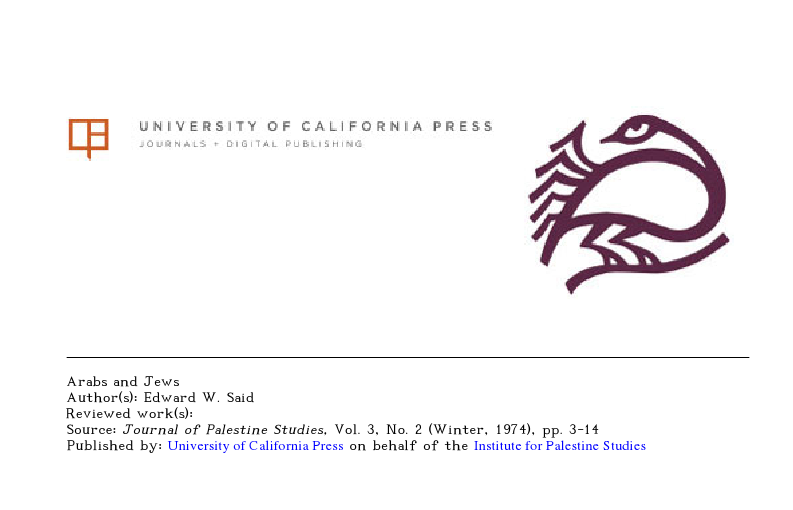 The book contains hundreds of stories of the heroic and highly innovative methods of resistance employed by the Palestinians over more than 100 years. The author also analyzes the successes, failures, missed opportunities and challenges facing ordinary Palestinians as they struggle for freedom against incredible odds. This is the only book to critically and comparatively study the uprisings of 1920-21, 1929, 1936-9, 1970s, 1987-1991 and 2000-2006. The compelling human stories told in this book will inspire people of all faiths and political backgrounds to chart a better and more informed direction for a future of peace with justice.